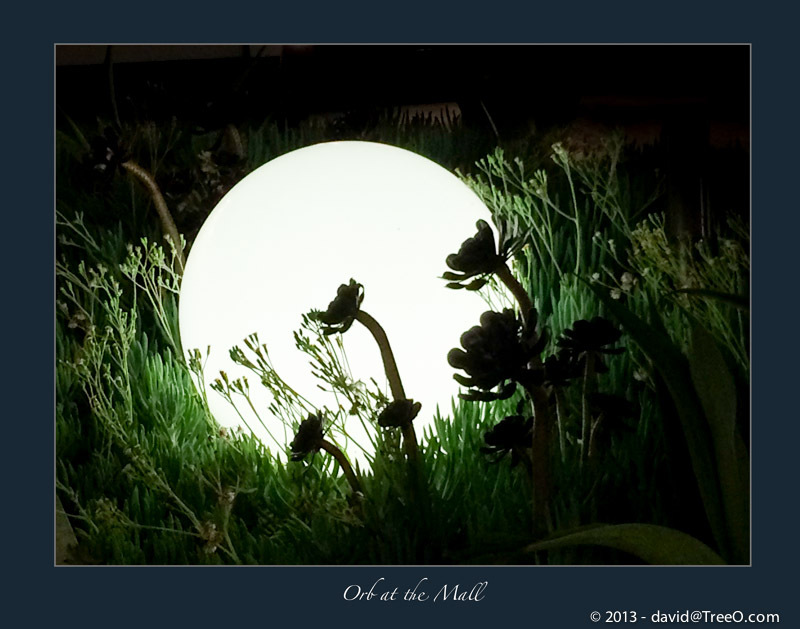 On this date, in 2013, I happened upon this glass sphere while taking a night walk at the mall, after dinner. The great silhouette and bright green grass caught my eye. Shot with my iPhone 5s. Cool looks like the Moon….